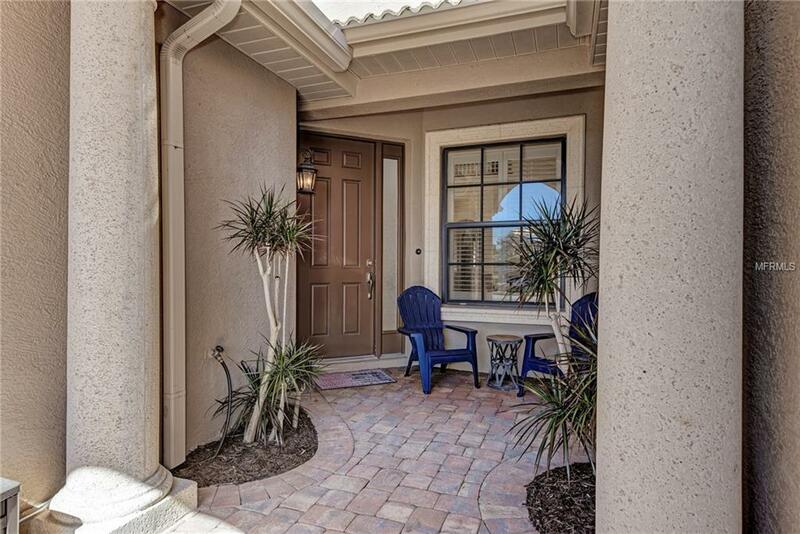 Immaculate 3 bed / 2 bath townhome with 2 car garage in the gated community of Bougainvillea Place. You'll feel like you are pulling into a resort as soon as you enter the gates and see the clubhouse/pool area. The home has a tile roof and a paver driveway, which continues to the front door & private front porch. 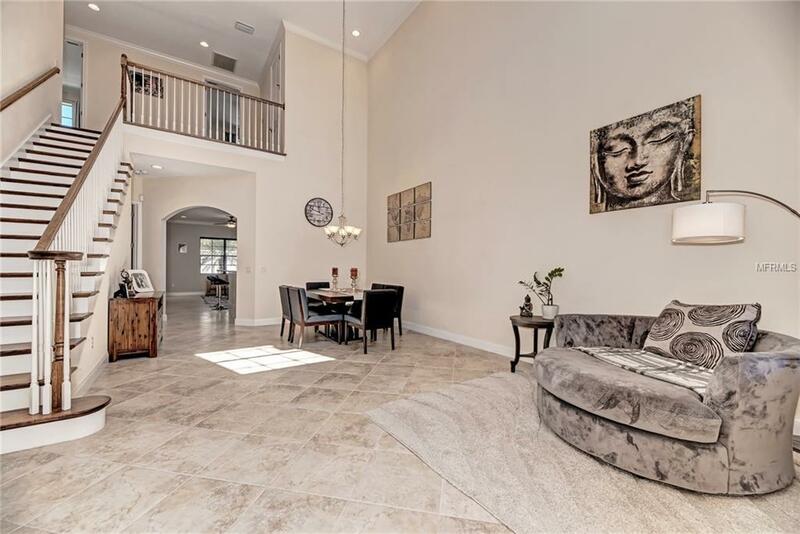 Open the front door and you'll be in awe of the soaring ceilings and grand staircase as well as the diagonal tile throughout the main living space. The kitchen has beautiful white cabinets with dark granite countertops and stainless steel appliances. The family room is off the kitchen making it perfect for entertaining. There is a screened lanai off the family room and extended patio for even more outdoor space. 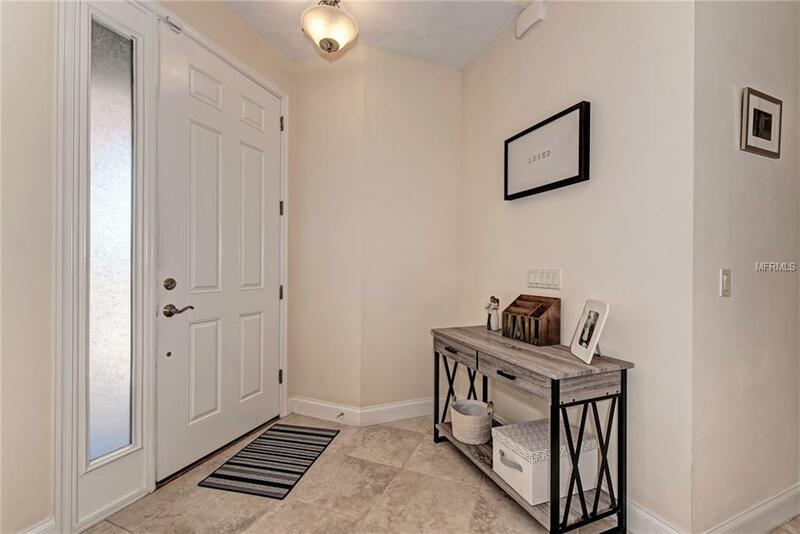 The master bedroom is on the first floor and has two walk-in closets as well as an en-suite bathroom with dual sinks, garden tub and spacious tiled shower. There is also a laundry room and half bathroom on the first floor. Upstairs there are two more bedrooms with a Jack & Jill bathroom separating them. There is also a nice space at the top of the stairs which would be perfect for a desk or reading area. All appliances stay with the home. Right across the street is the ammenity center where there is a resort style heated pool with cabanas and the clubhouse, which has a kitchen and community gym. 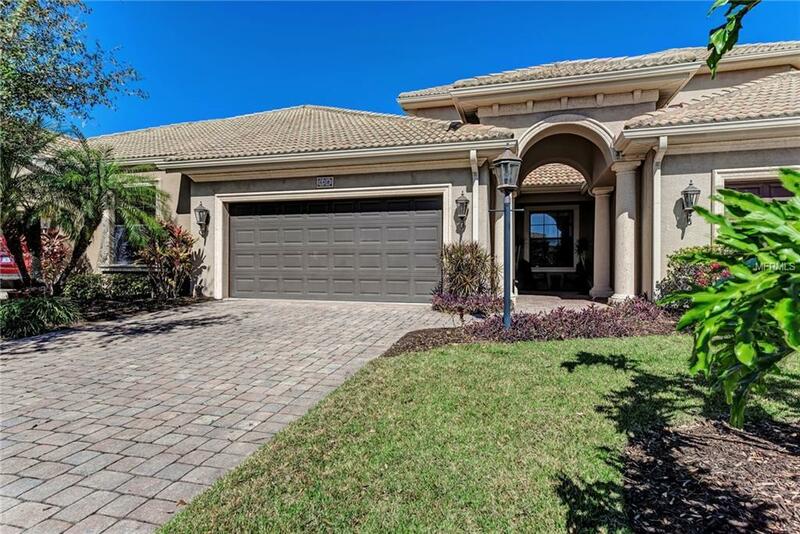 The community is conveniently located to I-75, making it perfect for commuting anywhere from Sarasota up to St. Pete or Tampa. You are also walking distance to popular shopping and dining options. Listing provided courtesy of Century 21 Integra Realty.